With today being the first day of the Chinese New Year, I figured it’d be a perfect opportunity to post this incredibly in-depth guest post on why Kung Fu is perfect for nerds, written by NF community member Anna Spysz. gyms bored the ever-loving crap out of me. I wanted an alternative that would keep me in shape while teaching me new skills that would train my mind as well as my body, so when I saw a poster for a local kung fu class advertising a free lesson for beginners, I signed up. I had always thought martial arts were cool in movies, but never expected to find myself not only practicing one, but diving headfirst into it. 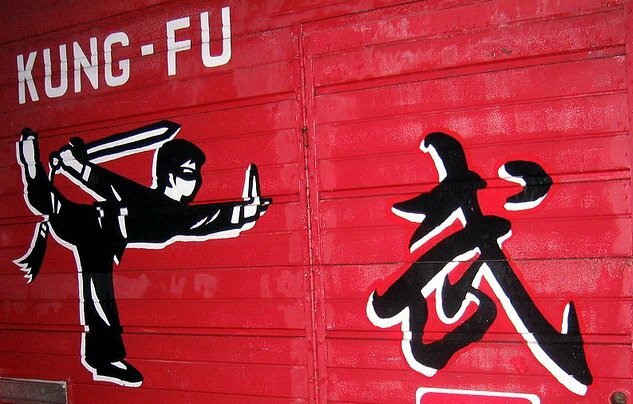 Now that I have some experience with Wing Chun (one of the many branches of kung fu out there), I realized why I took to it so quickly: kung fu, and specifically Wing Chun, is perfect for nerds. If your impression of kung fu is all about Jackie Chan flying through the air with fists of death, you might be a bit disillusioned. But if you’re interested in a form of training that emphasizes speed over strength, brains over brawn, bodyweight and simple tools over expensive gym equipment – in essence, most of the principles of the Nerd Fitness Rebellion – read on. Looking around my kung fu class, I realized that if you took all of the guys and girls there you could easily put together a decent IT department. Most of the guys are pretty skinny, a few look like they could front a metal band, and all of them are decidedly nerdy. As for the girls, I’m the tallest at 5’ 7”. And yet, any one of the students in my intermediate class could hold their own in a dark alley. Why? 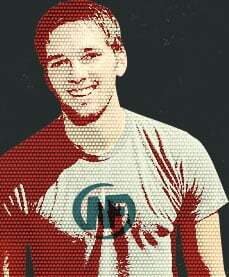 Ok, specifically, because of Newtonian kinetic energy: Ek=(1/2)mv^2. Or in English: the energy of an object in motion increases with the square of its velocity. Or in even simpler English: when you’re hitting something, speed is more important than mass. If you double your mass, you’ll hit with twice the force. But if you double your speed, you’ll hit with four times the force, and so on. Quite handy to know when you only weigh 140 pounds. Wing Chun Kung Fu is all about using speed to your advantage. Our sifu usually places as much emphasis on improving our speed as on helping us get stronger, and with good reason. A lot of us on Nerd Fitness tend to side with the underdog – the smaller, but usually faster guy in a battle. I know I do. With kung fu, the underdog gains all the tools he needs to beat the bad guy (as for getting the girl, you’re probably still on your own there). There are no flashy acrobatic leaps or flowery techniques in Wing Chun; every move is necessary and based on scientific concepts of human movement rather than animal forms, as in many other martial arts. One of my favorite parts of the class is when our instructor explains the physics of any given move, and why it’s more efficient than doing it another way. Most moves aren’t taught because they’re part of a tradition; rather, they’ve been proven to be the most effective attack or counterattack in a given situation. According to legend, Wing Chun Kung Fu was invented by a woman, which is why it’s designed to rely on speed and efficiency rather than brute strength. The history of Wing Chun goes back to the famous Shaolin Temple in China, where a group of rebel fighters gathered to train and plan attacks against a much stronger invading force (sound familiar…? ), but it was burned to the ground in the 17th century. One of the survivors of the fire, a nun, fled to a village where she met a beautiful young woman named Yim Wing Chun, who was being threatened by a brutal landowner demanding her hand in marriage. Using a combination of the techniques she knew, the nun taught the young woman a modified form of kung fu that was tailored specifically for her size and relied more on speed and agility than muscular strength. Yim Wing Chun then took the skills she had learned from the nun, challenged and defeated the brutal landowner and married the man she had chosen as her husband, and he then passed on the system that carried her name to the next generation. Today, Wing Chun continues to be a system that can give women and smaller men the advantage in a fight. But next to speed, smarts are also essential. 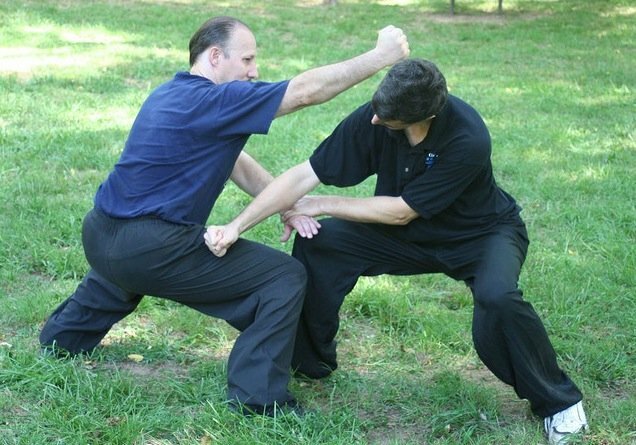 When making a move in Wing Chun, you’re always simultaneously defending and attacking. While the system is relatively simple, there are still a few forms to memorize and perfect, and certain ways of moving that must be followed. All of that concentration can occasionally hurt your head – in a good way. Often after practice, my brain is the sorest part of my body. I might complain at the time, but then I think – would I rather be mindlessly punching a dummy for an hour (or worse yet, running on a treadmill), or concentrating on coordinating both arms while maintaining the proper footwork so that my punch is as powerful as it can be? If you’re looking for something easy, then kung fu is probably not for you. But if you like the challenge of straining over an equation or piece of code for an hour followed by the immense satisfaction that comes from finally figuring it out, you’ll find a similar rush with kung fu. While there are hundreds of styles of martial arts out there, Wing Chun Kung Fu’s advantage is its simplicity and efficiency. You don’t have to memorize hundreds of forms; rather, you spend most of your time discovering the natural movements of your body and how to make them more effective. And to get your body to its most effective state, you train using the same methods Steve advocates on Nerd Fitness: bodyweight techniques. Our typical strength training consists of jumping jacks, sprints, squats, push-ups, burpees, side-to-side push-ups, and several other techniques also found in the Rebel Strength Guide. On days when we’re working our arms we’ll do hundreds of push-ups of all kinds, while leg days include squats and lunges in addition to various kicks. As far as equipment goes, the only thing we use in class is a wooden dummy to practice forms and occasionally punching bags, because they’re fun (and useful, of course, but not necessary). There isn’t a single barbell or piece of gym equipment to be found in our school – because the only thing that’s necessary is your body and someone to teach you how to use it effectively. And finally: Bruce Lee did it. ‘Nuff said. 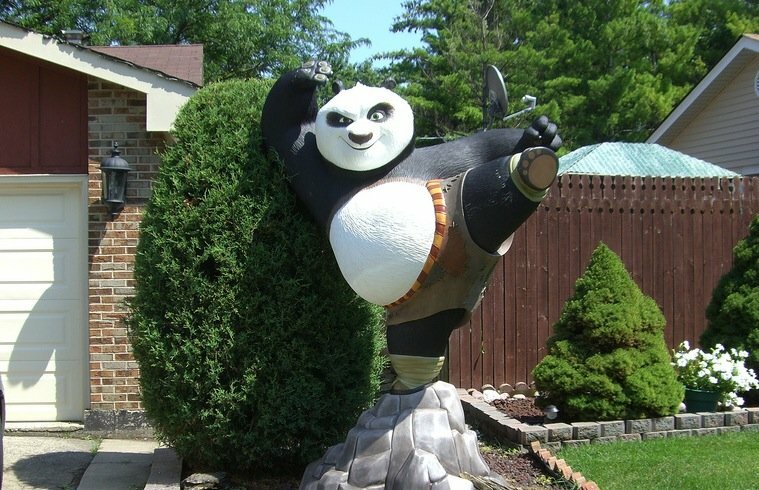 But what does a typical kung fu training session look like? Of course, it depends on your school and the type of kung fu, so I can only give an example of my particular style, Wing Chun, as taught by my sifu, Andrzej Szuszkiewicz. First of all, we begin with a dynamic warm-up – and when I say dynamic, I mean you will be soaked in sweat within 7 minutes, though it typically lasts about 15-20. Since as a writer I’m a fan of showing, not telling, I’ve included it at the bottom so you can use it before your own training sessions of any kind, whether it’s another martial art or just running or lifting weights. Then we’ll do continue with intensive drills for the first hour, either working on kicks or punches depending on the day. Typically, that means throwing some 500 punches or kicks per session, with either push-ups (on arm days) or intensive stretching (on leg days) in between. The last hour or so is spent on technique – this is when we learn proper forms and usually practice sparring with a partner. This is also the most educational and brain-intensive part of the training, because you’re often learning new movements and practicing them right away, so getting the technique right is crucial. Of course, there are days when technique is pretty much all we do, and days when it’s mostly strength training (punching bag days are my favorite), and there are also seminars several times a year where either our sifu or a visiting one will focus on one aspect of Wing Chun, such as forms, wooden dummies, butterfly swords or even strength training with kettlebells, as we did recently. We practice three times per week for two hours usually, though the advanced class has extra sessions on top of that. This all may sound tough now (and it sure as hell seemed that way back when I started), but of course when you’re starting out in the beginner class you won’t be expected or forced to do any more than you are capable of at the moment – the goal is to gradually get you stronger and faster, not to try to force it and have you end up either injured or disillusioned or both. When I first started, I could barely do two sets of 10 push-ups. That was fine (and I definitely wasn’t the only one), and our sifu encouraged me to do knee push-ups until I got stronger. And I did. Now I do 7 or 8 sets per session, usually on my fists. 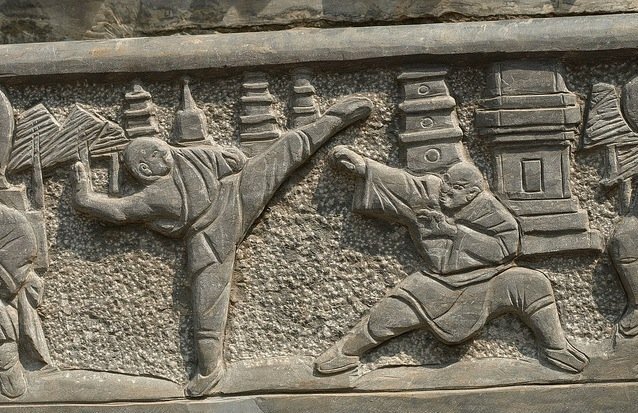 In the end, kung fu, much like Nerd Fitness, is a way of life rather than a quick weight-loss fad, and it’s as much philosophy as it is training, both of which should prove quite valuable in life. One of my absolute favorite martial arts films is the excellent Ip Man starring Donnie Yen, as well as the sequel, Ip Man 2 (the later prequel is decent as well). It’s well-made, with a fantastic story as well as amazing fight scenes, and best of all, it’s based on the life of Wing Chun legend and Bruce Lee mentor Ip Man himself. A very fit Robert Downy Jr. takes down his much bigger opponent with what seems like minimal effort. The secret? He’s using Wing Chun techniques. 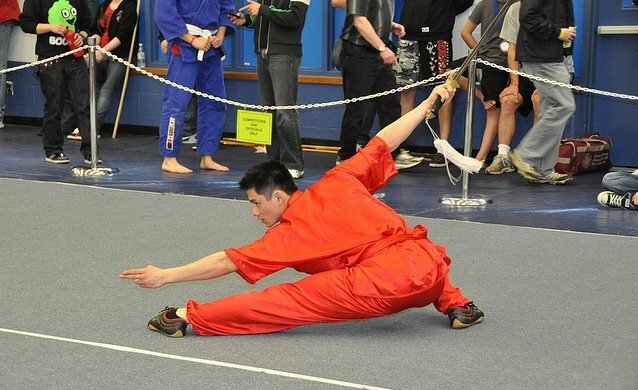 Note: this is an advanced warm up suited for Kung Fu – just looking at it might make you exhausted. Do the best you can and work up to a full warm up! Don’t forget why warm ups are so important. If you can’t do 10 yet, start with 5 or however many you can do. If you’re still alive after that (and I really hope so, I can’t afford the lawsuits), your body is completely warmed-up, well stretched and ready for just about any workout you can throw at it! 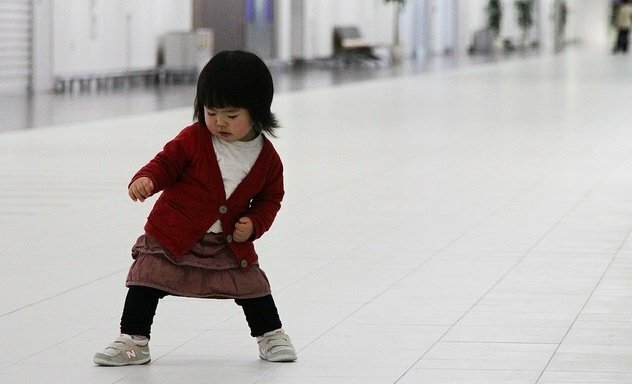 So, do we have any future Bruce Lee’s in the community? 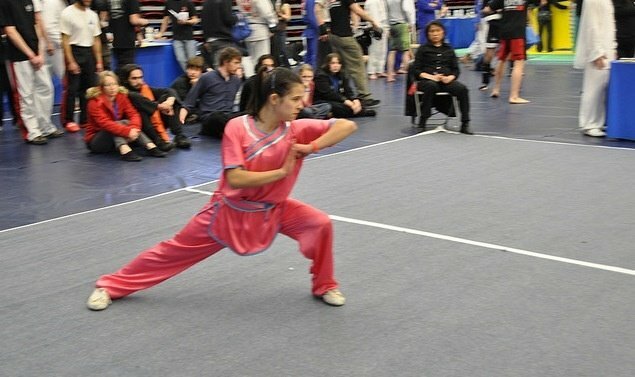 What type of martial arts do you practice or would you LIKE to practice? Anna Spysz is a freelance writer and translator currently living and kung fu fighting in Krakow, Poland. When not strength training, playing with her band or blogging at Saving Ink, she’s busy looking for freelance writing gigs to pay the bills.